The first private equity fund to invest in a high street law firm that has now put money into a ‘dispersed’ law firm has said it is “business as usual” despite Brexit and it would welcome further approaches from solicitors. The Business Growth Fund (BGF) announced a £3.75m investment in dispersed firm Setfords this week, following a decision to invest £5m in mixed civil and criminal practice McMillan Williams early last year. BGF was established in 2011 to help growing smaller and medium-sized businesses. Backed by five of the UK’s main banking groups – Barclays, HSBC, Lloyds, RBS and Standard Chartered – BGF is an independent company with up to £2.5bn with which to make long-term equity investments. 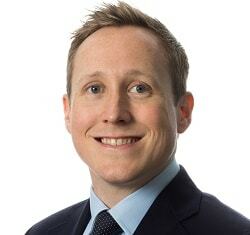 Ben Kirby, an investor at BGF who joined the board of Setfords as part of the deal, told Legal Futures that he was “always keen” to meet law firms looking for investment – as long as their annual revenue was over £5m. Mr Kirby, who trained as an accountant, said he had spoken to a number of law firms before the deal with Setfords, some of which were too small to be suitable. Mr Kirby said BGF initially invested between £2 and £10m in a company in return for a minority stake no greater than 40%, the ability to sit on the board as a director and invite a non-executive chairman or director to join them. He said BGF was interested in how law firms could use technology to achieve growth, for example how Setfords used its case management system to run a paperless office with a large number of lawyer contractors across the country working at home. Mr Kirby said Brexit had not changed the appetite of BGF to invest in SMEs, including law firms. “The week after the referendum was our busiest of the year. We wanted to send a very strong signal that we would continue investing. If we stopped, and other people stopped, there would have been a slowdown. Mr Kirby added that BGF did not look for investments on a sector-wide basis, but instead responded to opportunities as they presented themselves. In the case of Setfords, he said managing director David Rogers was a personal contact. BGF said it was on course to invest more than £370m in SMEs this year, compared to £250m last year, and was the top institutional investor in the market by number of deals in the three months following Brexit.